Louis Morago is an Associate of Colliers International with the Occupier Services Team in San Diego. Louis represents local, regional and national office tenants. Louis' energy and fresh perspective on the market allow him to be a contributing member of the Miller Occupier Services Team. The Miller Occupier Services Team's primary focus is San Diego's Class A submarkets: UTC, Carmel Valley, Sorrento Mesa, Del Mar, Torrey Pines, Solana Beach, Carlsbad, Kearny Mesa, Mission Valley, and Downtown’s CBD. 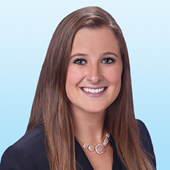 Prior to joining Colliers International, Louis interned at several top brokerage firms before graduating from USD. 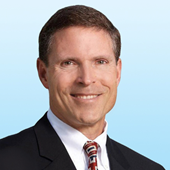 Ron Miller is a Senior Vice President of Colliers International Occupier Services Team in San Diego. As a native San Diegan and Corporate Real Estate Advisor, Ron represents local, regional, and national corporate office tenants. Ron’s experience and extensive market knowledge allow him to deliver the highest level of service to his clients in all facets of their corporate real estate endeavors, which include managing requirements for new locations, renewals and dispositions, as well as containment of overall real estate costs. With his extensive career experience in landlord and tenant representation, Ron offers a unique perspective and valuable insight in exclusively representing corporate office tenants. Prior to joining Colliers International, Ron served as a principal at CresaPartners focusing on tenant representation. He was Senior Vice President, Principal, and a top producing broker at Burnham Real Estate for representing both Tenants and Landlords. 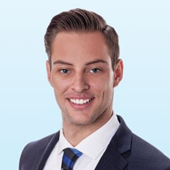 Jack Blumenfeld is an Associate for the Miller Occupier Services Team in the UTC San Diego office of Colliers International. Jack is a high energy, recent Syracuse University graduate building his experience in the Commercial Real Estate field with the Miller Occupier Services Team. He is currently assisting on multiple transactions in the majority of San Diego County markets as well as around the United States. Jack is a Life Sciences and Healthcare specialists working on honing his skills as an expert in these fields. The Miller Occupier Services Team's primary focus is San Diego's Class A submarkets: UTC, Carmel Valley, Sorrento Mesa, Del Mar, Torrey Pines, Solana Beach, Carlsbad, Kearny Mesa, Mission Valley, and Downtown’s CBD. The Miller Team specializes in local, regional and national office tenants around the United States.